While the Syrian uprising continues, more and more videos come through the media, either the official Syrian TVs or by holders of simple mobile phones doing their best to record any single military stuff their eyes may catch. 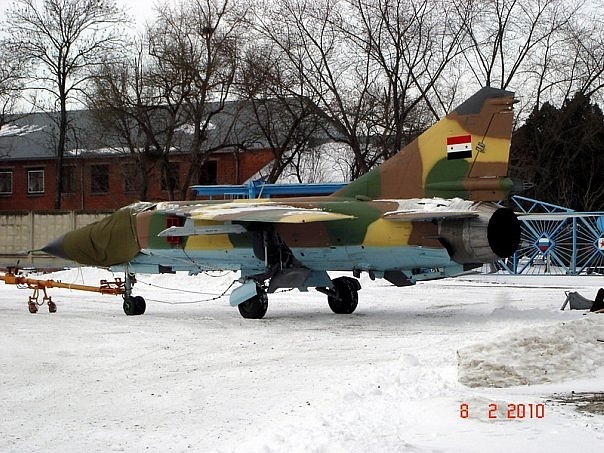 Above is a Mig-23ML with over-painted serial, the fuselage of this aircraft looks new and clearly is one of those units overhauled in Krasnodar facility two or three years ago. 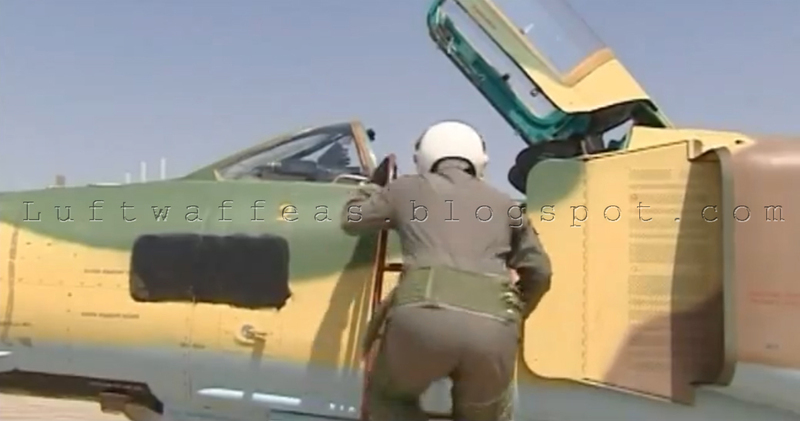 A pilot just got into the cockpit of a Su-22 reg. 25X7, might be an M4 variant (Fitter-K). What made me assume it's an M4 variant is the display TV on the upper right corner. This is apparently an old recording of green-tinted radar dome Mig-23MF trio was embedded in one of the recently emerged videos. The same old recording shows a full Mig family formation served in the SyAAF (sadly without the legendary Mig-17), with Mig-29 in the front, Mig-23MS or MF, Mig-21 (could be a trainer U variant), and the biggest member of Mig family the Mig-25PD. 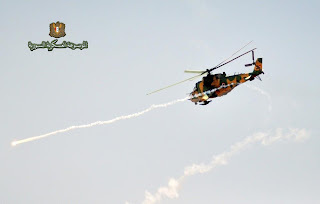 Here is a video recorded by some civilian in Tadmor, should be standing somewhere near 34°33'44.97"N 38°17'16.89"E, looking between 34°33'30.88"N 38°18'17.86"E and 34°33'31.00"N 38°18'2.58"E.
I just included here the GE coordinates above to prove that it is realy Tadmor airport, not the T4 AFB which is the home base of the Mig-25 (at least PD & PU variants). 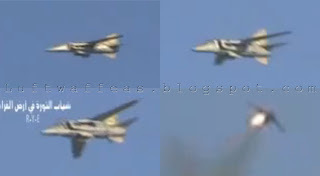 In this video we can see a Mig-25PD. 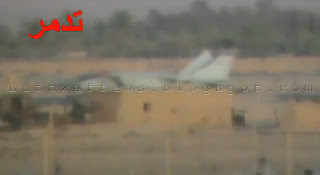 Another Mig-25PD near the double HAS. 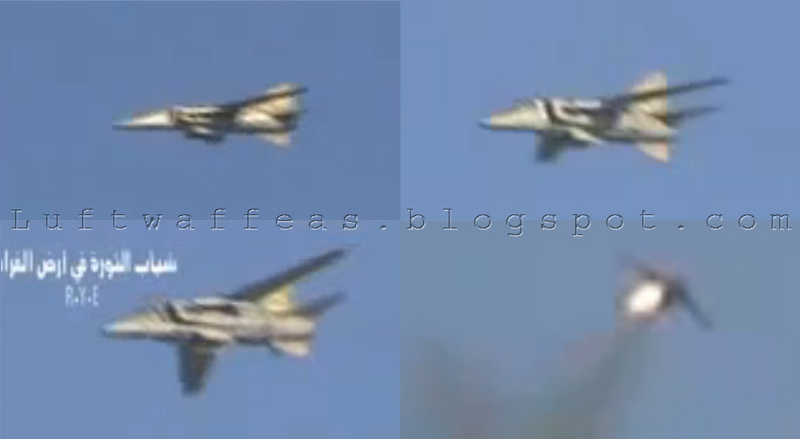 And one trainer PU variant in the middle. 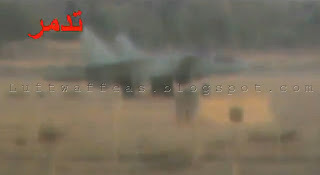 This video confirms that the fleet of Mig-25 is not withdrawn from service as few sources claimed. 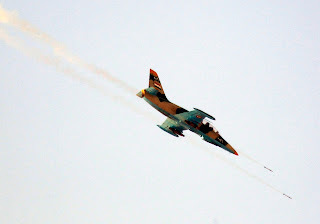 On 13th this month, units from the FSyA (Free Syrian Army) shot down a SyAAF MiG-23BN over MuHassan town in Deir Ezzowr. 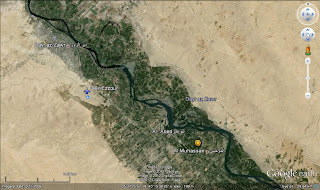 MuHassan is a small village, only about 13km to the south east of Deir Ezzour AFB, the Mig-23 as explained was flying towards the airport when it was shot and downed few kilometers from the base. 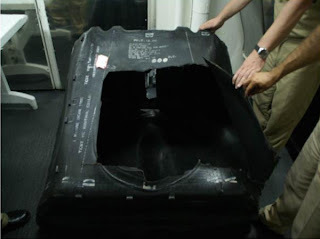 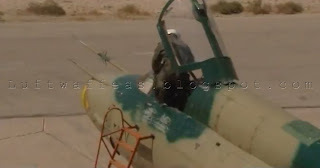 The pilot ejected safely and tried to escape to the airport but finally caught by the FSyA units. Abu Allawi (above) standing behind his 14.5mm machine gun, is the hero who could shot that MiG which was flying in low level carrying out bombing mission over MuHassan and adjacent villages as declared later on by the pilot himself. The first video appeared over YouTube. Later on another closer and clearer video appeared showing the last moments of this MiG-23BN. 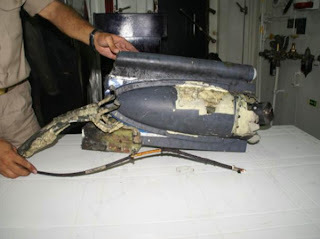 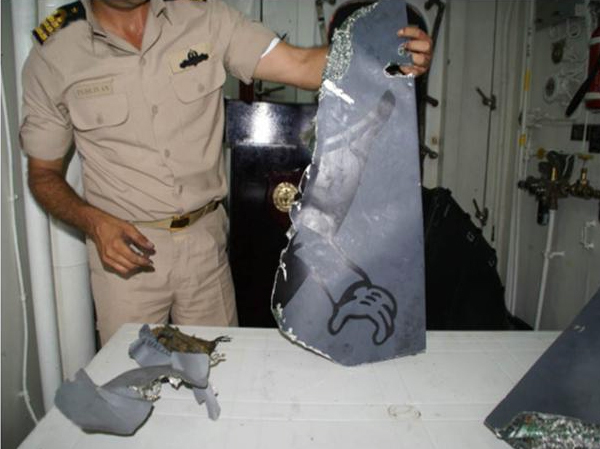 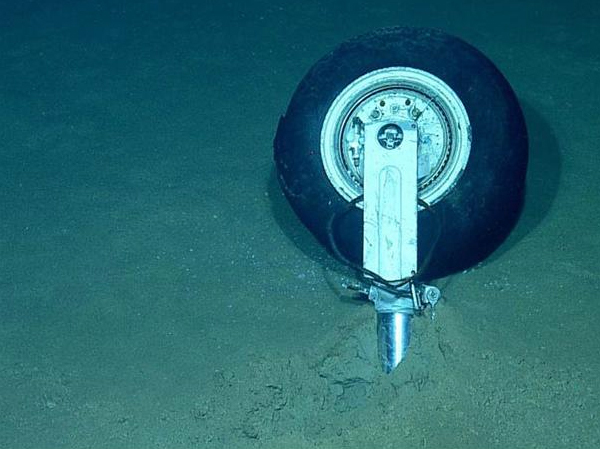 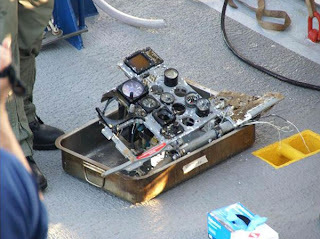 Unfortunately, no video or photos for the remnant of the downed MiG are published yet on the web, also it would be more professional if the FSyA present in a video the personal stuff of the pilot like map, ejected seat, helmet, handgun, ID, parachute..etc. - Standing in the Middle: the man who downed the MiG-23BN, his name is Abu Allawi from Othman Ibn Affan Brigade. 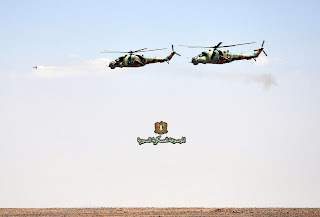 - Standing in the Right: 1st lieutenant Abu Abbas AzZar'awi commander of Othman Ibn Affan Brigade. 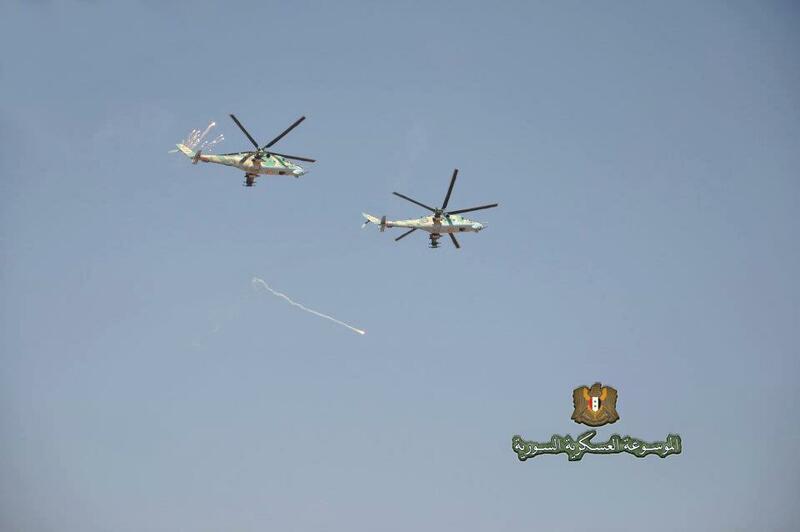 - Standing in the Left: Abu Ali Al Amri commander of Ahrar Fawati Bu-Arab town battalion whom captured the pilot. 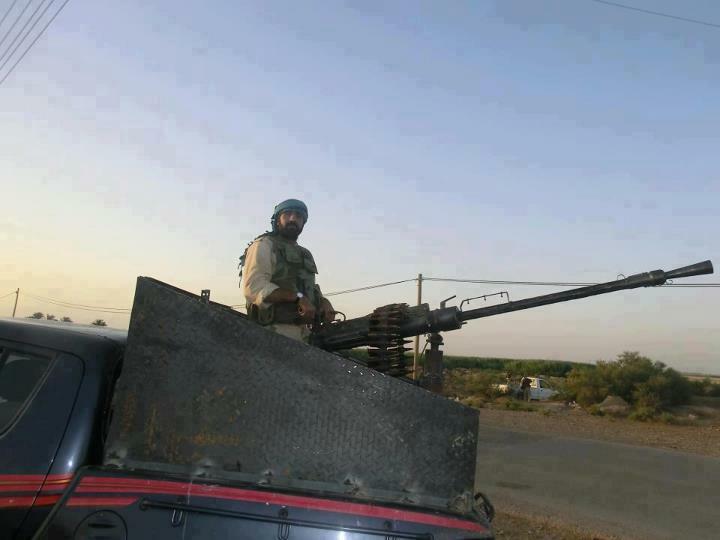 - Speaker: Captain Abu Al Laith commander of Ahfad Mohammad Brigade. 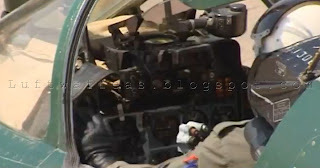 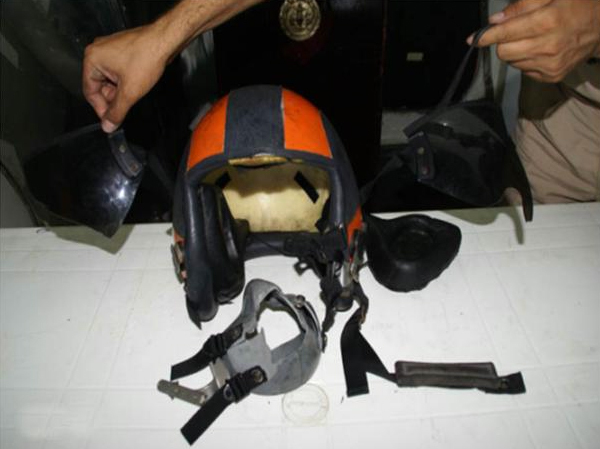 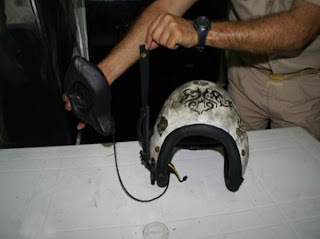 - Pilot: Colonel Mufeed Mohammad Sleyman, he declared that his mission was to bomb MuHassan town. 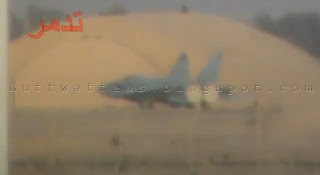 Few weeks ago the Turkish Air Force revealed some photos of the downed Phantom by Syrian AAA; Actually this aircraft is an RF-4ETM reg. 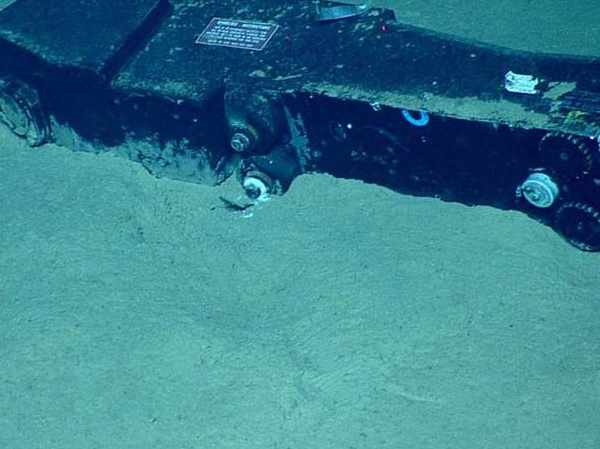 77-0314 is a recon. 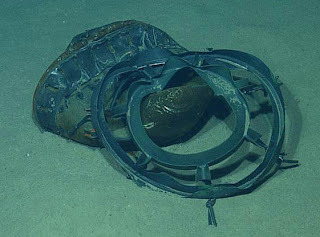 variant. A map shows the route of this Phantom before it was shot down around 4km far from Syrian coast and the two crew are found dead. 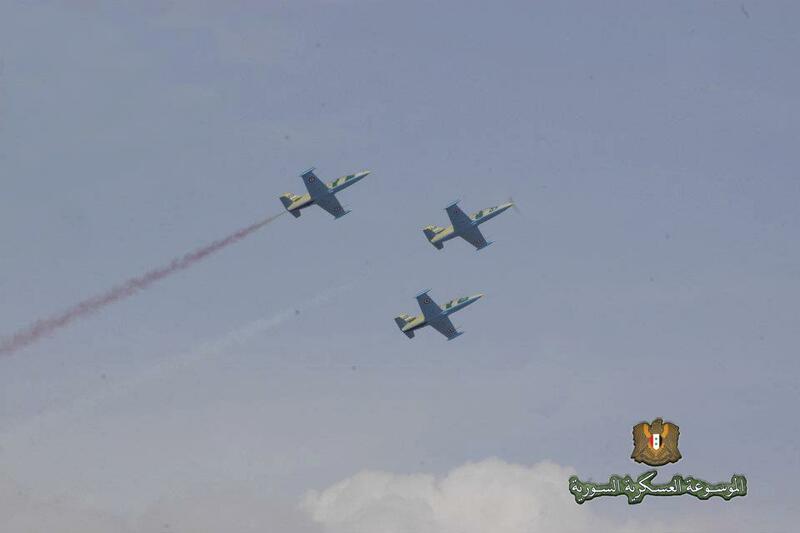 More photos for Syrian Air Force L-39 Albatros came from the FB page of "Syrian Military Encyclopedia", above a trio flying over Rasm Al Abboud air base during the celebration days of air academy graduation. Closer photo for the trio and two readable serials 2063 and 2068. 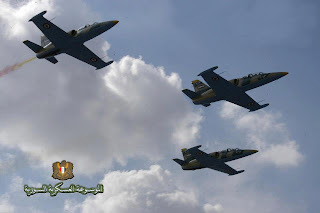 I never expected this peaceful-looking trainer L-39 will become someday a terrifying flying machine when the Syrian regime started to use it intensively over Aleppo and adjacent towns. 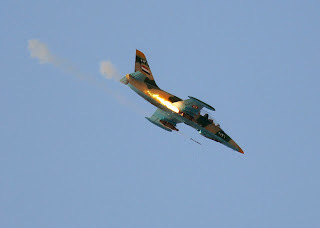 The above HD photo (Reuters) shows the daily activity of these aircraft hitting and bombing Aleppo districts, the serial is 2136. 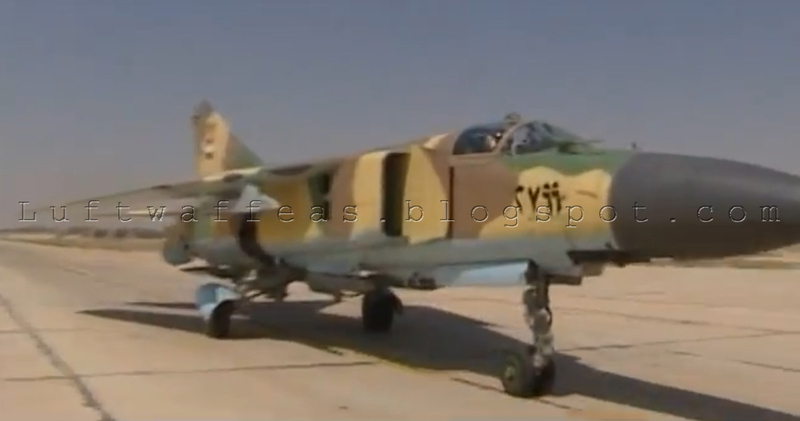 Another shot for the same L-39 fitted with two unguided missiles pods under wings and the underfuselage 23mm cannon pod. Some sources stated that one of the pilots flying this aircraft over Aleppo is Ukrainian nationality !! 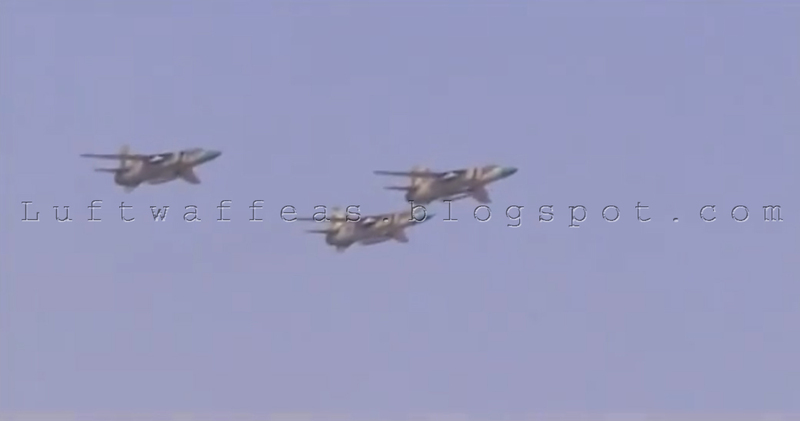 Tens of videos over YouTube are available for SyAAF L-39s seen over Aleppo, Tal Ref'at, Handarat and some other towns in the country and suburbs of Aleppo. 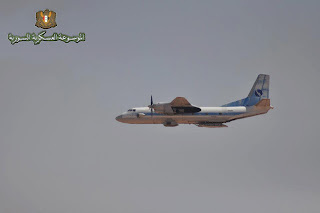 Few HD shots of SyAAF units also came to web after the "Live Fire Maneuvers" as mentioned in the previous post, above is An-26 belongs to the Military Transportation Brigade based in Damascus International Airport. 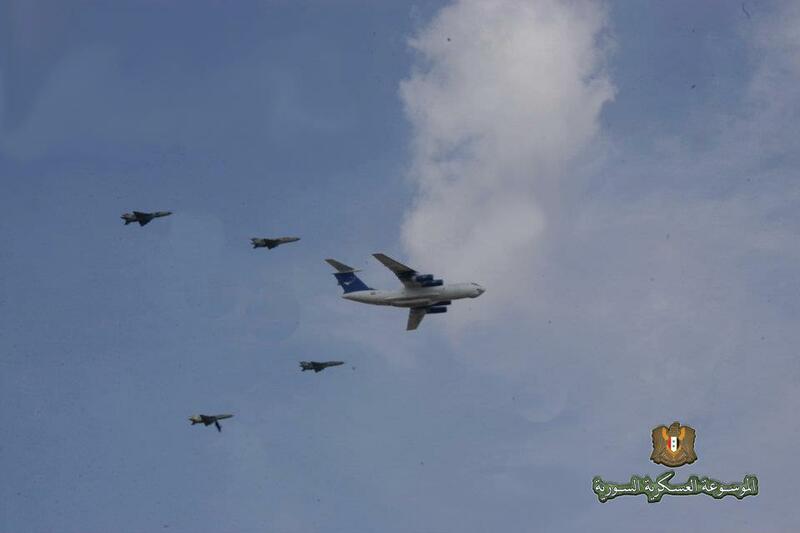 Also an Ilyushin-76 operated by Military Transportation Brigade accompanied by four Mig-21s. Two Mig-23BNs firing unguided missiles. 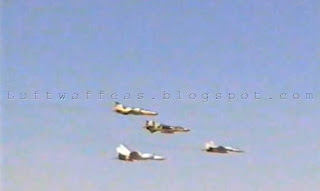 This photo of another pair of Mig-23BN is not taken during the latest maneuvers, it was already available on web quite a years ago, some sources state that it was taken during the Lebanon war in 1982 over the Al Buqa'a Valley. 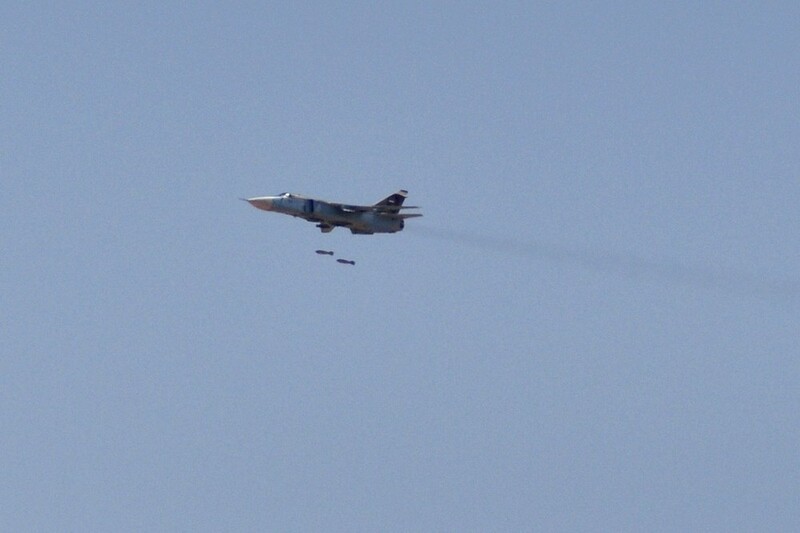 Su-24MK dropping free fall bombs during the last maneuvers. New HD photos were published on web particularly in facebook under the book called "Syrian Military Encyclopedia". 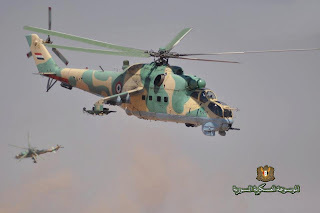 These photos were expertly extracted from the videos of live fire maneuvers conducted by Syrian Amry, Air Force, Air Defense and Naval Force last month. 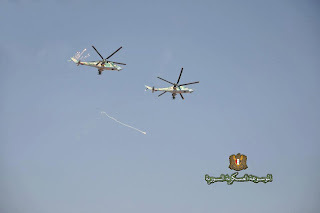 In this part I'm posting few photos for SyAAF Mil Mi-25; the above one is for pair dispensing flares. 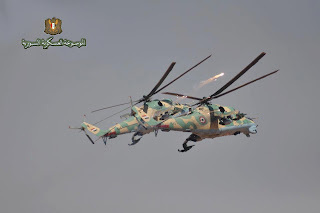 Formation of four Mi-25s firing AT-2 Swatter anti-tank guided missiles. 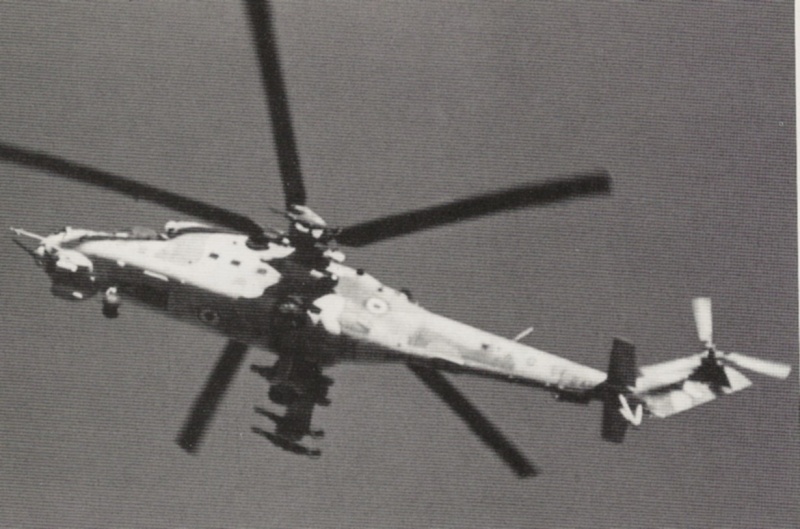 Mi-25 winding while dispensing flares, the serial is 28xx. 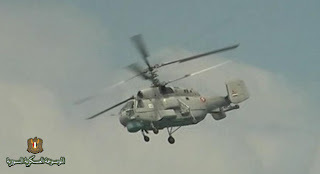 Close shot for Mi-25 reg. 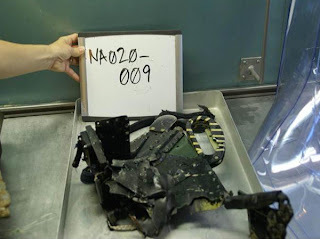 2802, not the left AT-2 Swatter on its rail. Another clear and amazing shot for the same Hind. 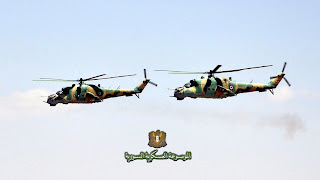 SyAAF Hinds used to be based in Blai and Mazze ABs, previously few numbers were based in Swaida AB before it was completely disbanded 2004. Recently, these Hinds are used widely against civilians and rebels in the current uprising in Syria against dictatorship. 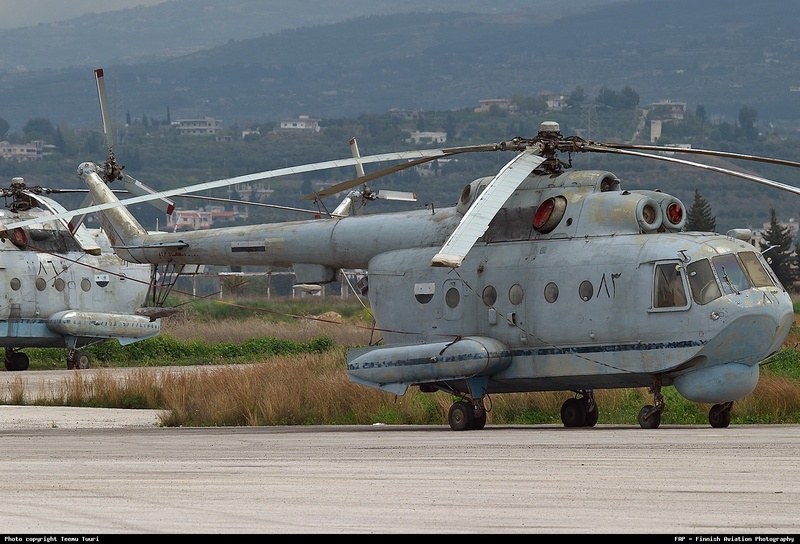 Pair of Mi-25 reg. 2802 and 2837. 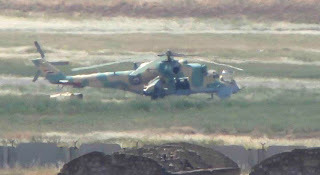 Mi-25 reg. 2830, note that this one is fitted with unguided missiles pods. Mi-25s reg. 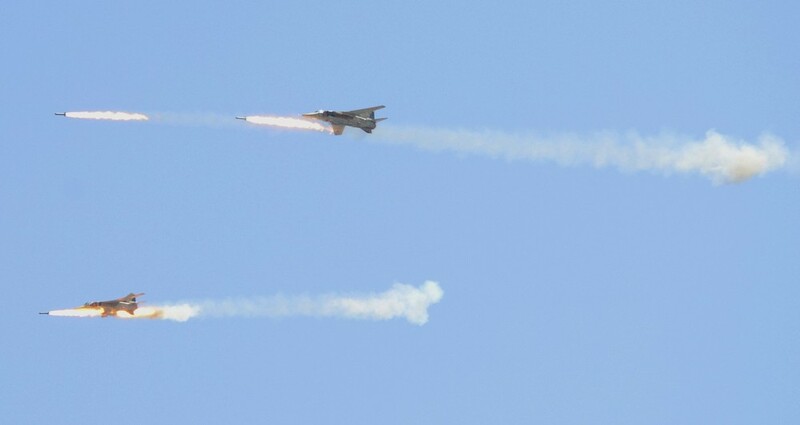 2831 and 2846 winding and dispensing flares. 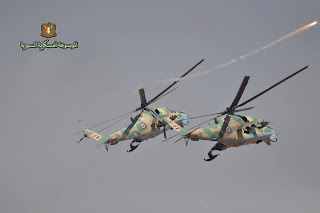 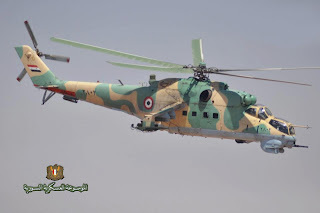 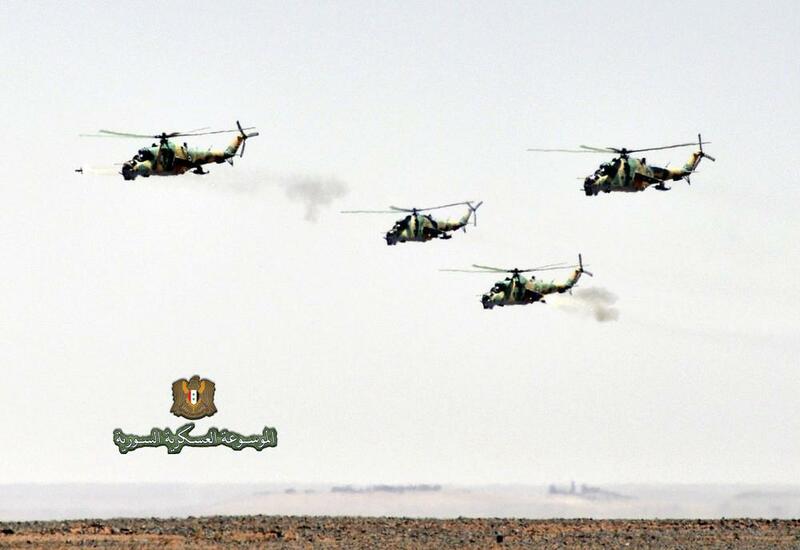 Experts state that camo of SyAAF Hinds is renewed to match the camo of SyAAF Gazelles; Unfortunately these are the first colored photos of Mi-25 over years of secrecy. 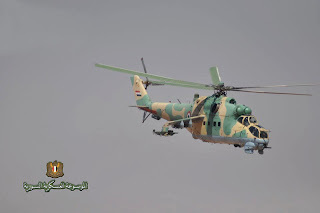 Videos of Hinds in actions nowadays are widely available on web these days, this photo was extracted as well from one of them showing a Hind in Swaida AB (after few units were deployed there beginning of this year). This should be the first photo of a SyAAF Hind published on web few years ago. Open sources state that SyAAF flies 36~48 units, in Blai AB itself around 33 units can be counted on GE 2011. 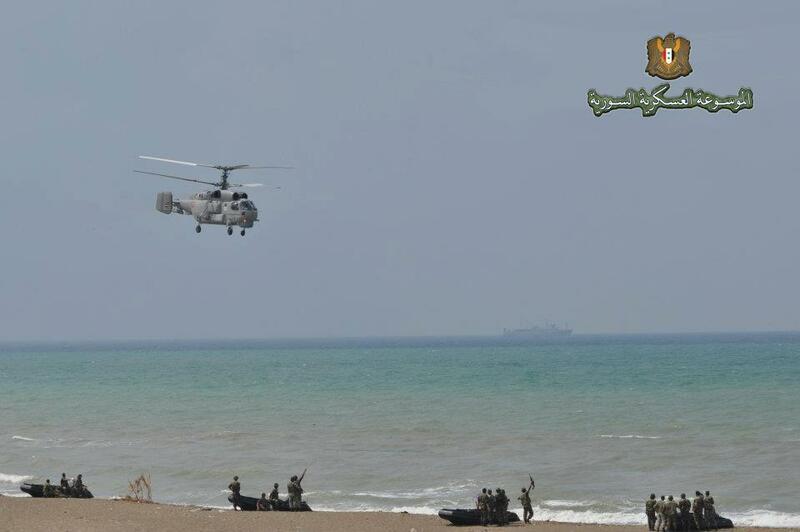 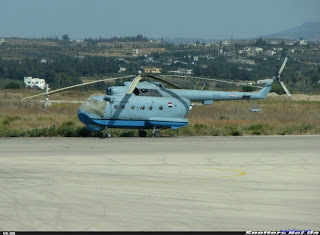 Few valuable photos collected from web -with full respect to owners- showing helicopters used in Syrian Navy. The above photo is Mil Mi-14PS Haze-C (search & rescue variant) reg. 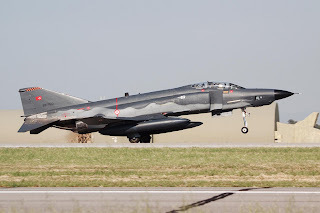 1475, colors of camo are still in good saturation while date of this photo is unknown. 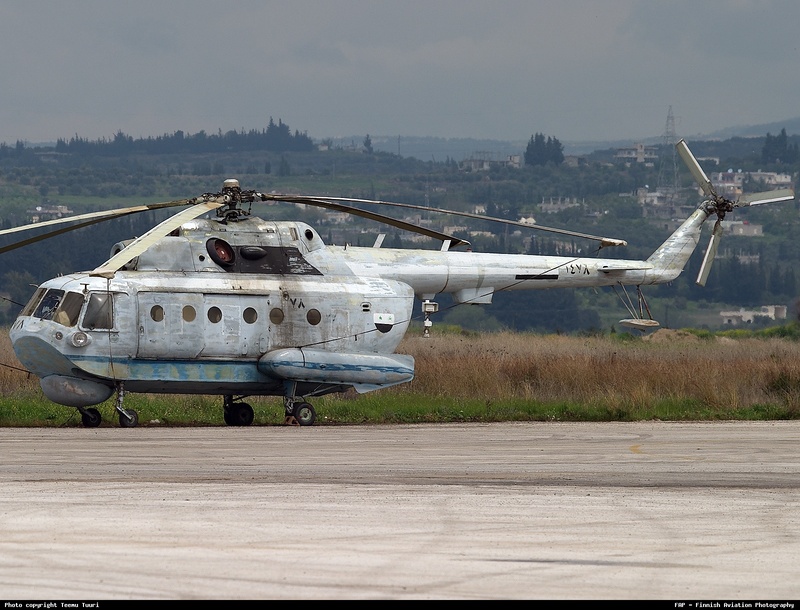 A photo by Teemu Tuuri dated April 2006 for Mi-14PL Haze A reg. 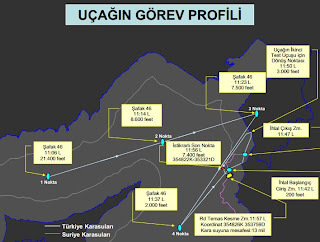 1478. 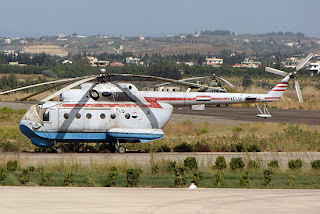 Another photo by Teemu shows two Syrian Mi-14PL reg. 1483 and 1486. 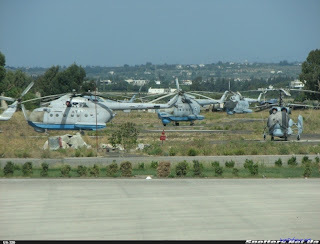 Photo shows at least five Mi-14PL's with one readable reg. 2382 with one Kamov Ka-25 on the right. 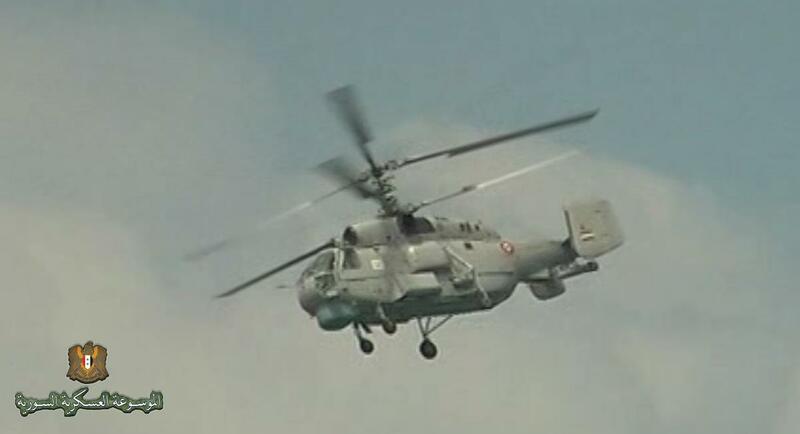 This Mi-14 looks in good operational status with reg. 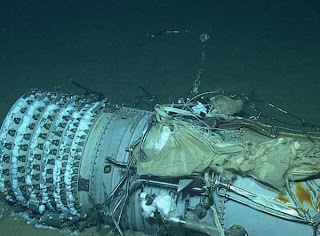 2396, note the torpedo fitted at the rear of fuselage. 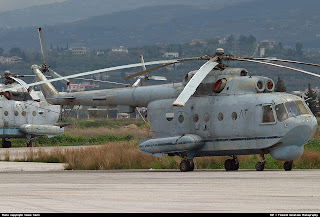 According to open sources, Syrian Navy used to acquire 11 Mi-14's, all based in Lattakia airport; an observation through Google Earth clarify that around six units might be in good condition while four fuselages are razor-less !! 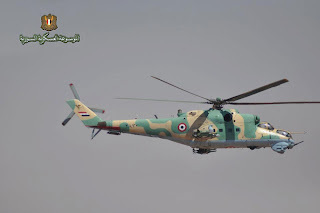 Nice shot for the Kamov Ka-27 during the latest maneuvers took place early last month; Serial number is in white but unreadable. 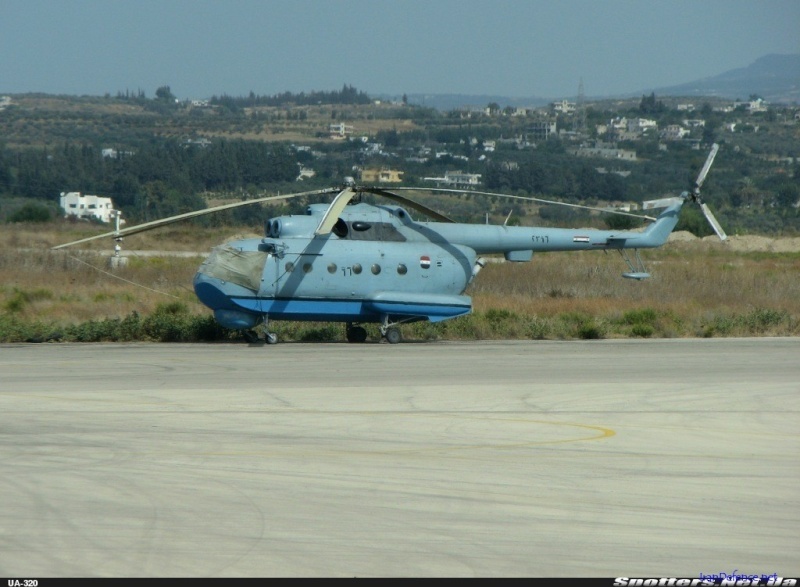 It looks that Syrian Navy operates around 4~5 units of Ka-25/27, all of them are based in Lattakia airport while one phased-out fuselage of Ka-25 is transferred to Rasm Al Abboud AB (the air academy near Aleppo) for training purposes. 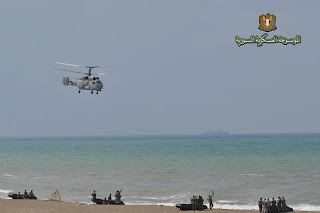 In this video of the live maneuvers last July, one Mi-14 appears in 0:15.